Steeleville Banking Center, a Branch of First State Bank of Campbell Hill, held its annual Customer Appreciation Day on Friday, June 22, 2018 from 4:00 – 6:30 at the Steeleville American Legion. Customers were treated to pulled pork sandwiches, brats, hot dogs & ice cream. Approximately 270 people attended the event. In addition to their meal, those in attendance were able to register to win a Barbeque Grill along with a $50 Gift Certificated to Dave’s Food Center. 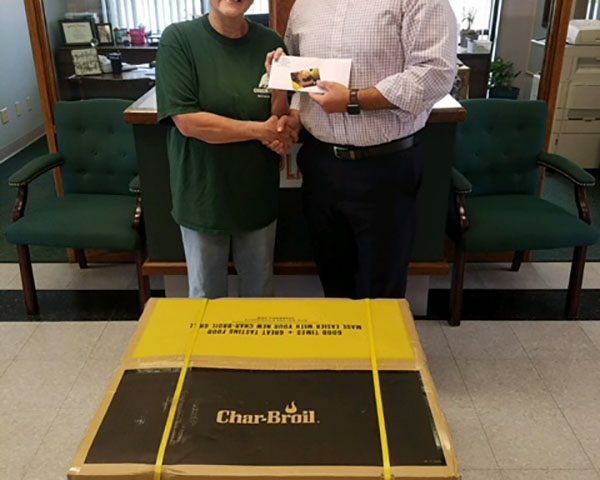 The winner of the grill and gift certificate was Carol Luehr.